Once you start mining, on that very first day, you face the huge question of “which pool”. You probably start with the biggest pools, because you think “they have to be good, right?”. In the days and weeks that follow, terms like poolfees, profit switching, cost to run and mining calculators start playing in your brains. It took me a few months of pool switching and research to find useful information, primarily because you read opposing information in forums, so eventually you don’t know who to believe. Which is why I started my own trial and error approach. 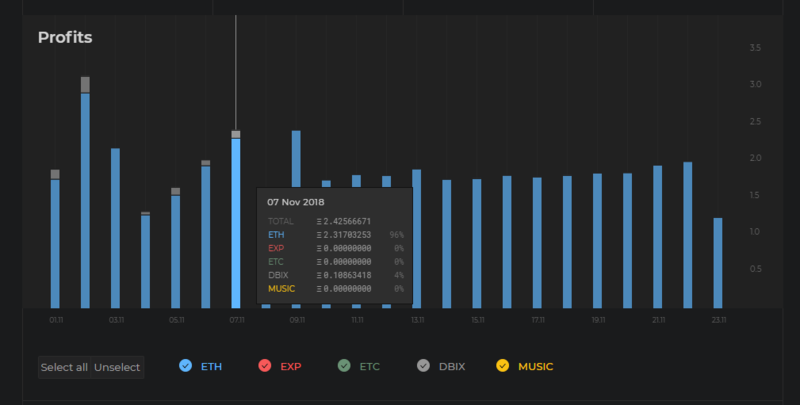 I found many pools, which don’t give you information – some don’t give you historical info, like how your rig performed, you can see when it went down, some just give you the coins you have earned, without projecting how you will perform in the future (based on past performance). I have found pools that give you loads of technical information, but it takes 15 minutes to figure out how to configure your miner to mine at the pool. Some of these pools made me feel like I don’t know enough to mine, and mining is reserved for the l33t. Then Mirelle Dismenol invited me onto Whalesburg profit switching pool. I have been mining there ever since. I have written a separate article on whalesburg profit switching here. But in summary, they mine the algorithm, and not the coin. You don’t have to profit hunt, they do it for you. Their back end system is very efficient, which leads to the lowest uncle rate in the industry, and more. 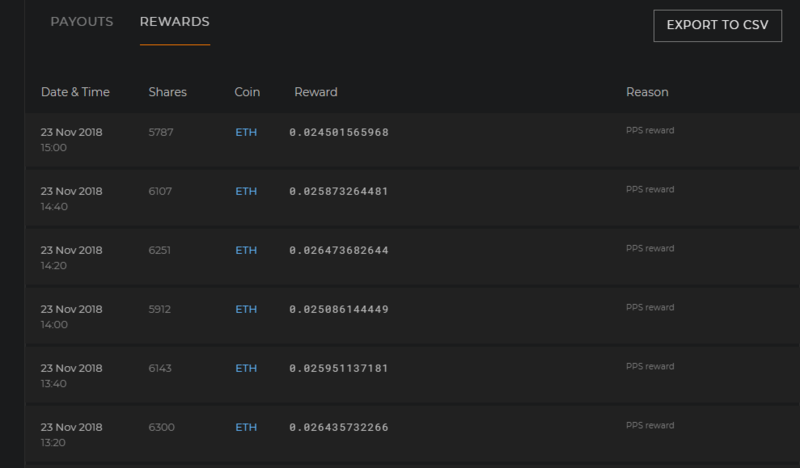 The current coin mined is shown on the dashboard, convenient, transparent and easy to understand. 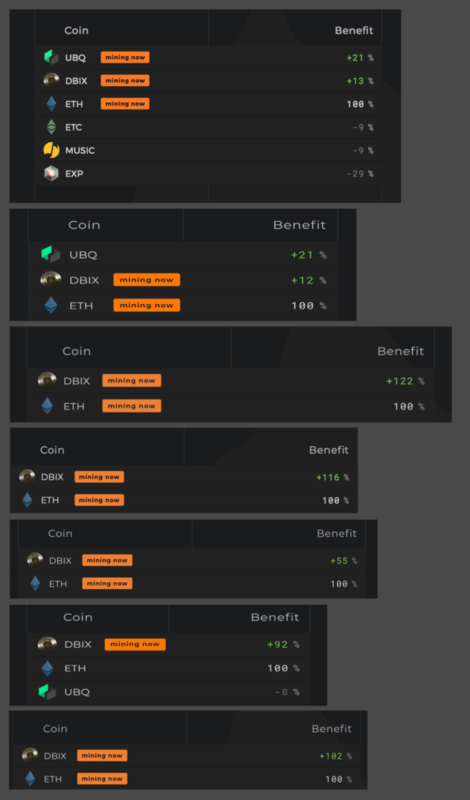 Here are some real examples – I took screenshots of some of the coin switches and activities. Whalesburg offers a click and copy config tool. This takes all of the questions out of setting up your miner. Click click, paste your wallet, type your worker name, and copy your command string. 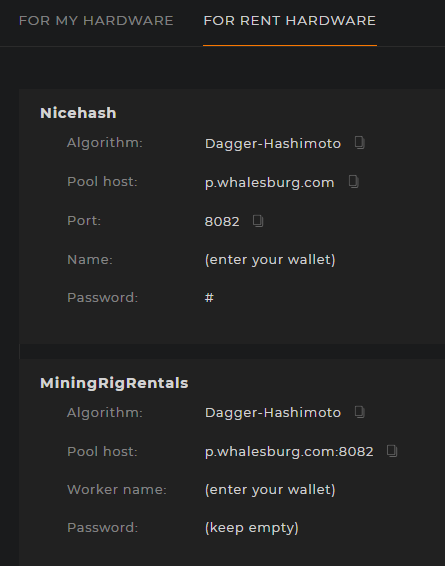 Anonymous mining is supported, you do not need to register with whalesburg to mine, just point your miner and sit back! Once you have started mining, you can subscribe to the telegram bot. Set this bot to your requirements, and always be informed. Find the telegram bot details here. 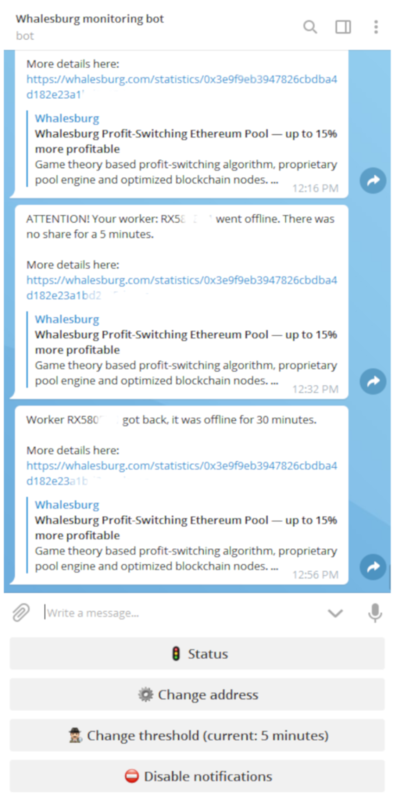 Whalesburg has a strong support team whom provide direct support via their telegram group, usually within the half hour, depending on the time of day. whalesburg brings the best of all the info into one easy to manage place. Income, forecast, hashrate and current coin. 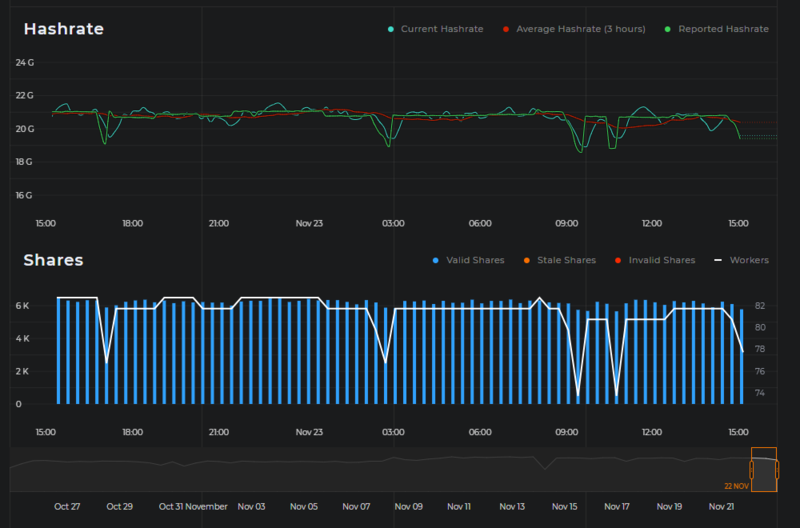 Total graphs on hashrate and shares. Whalesburg is truly a very cool and functional pool. They do offer well structured information about your own stats, as well as pool stats, like blocks and pool strength as well. They are continuously improving their interface, servers, and services. You can see more on their pages on medium here. Increase your mining income and rewards! Start mining at Whalesburg through our affiliate program with them, and mine for one month free as a tier 2 miner with no whalesburg tokens! That means you will mine at 101% profit for a month, without investing in whalesburg tokens! 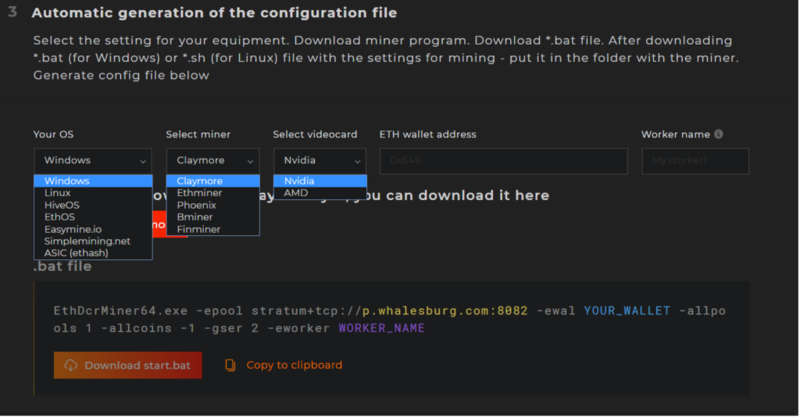 Click here: https://whalesburg.com/?p=AG4W and enter your wallet address to qualify for one month mining as a tier 2 miner, for free! I am definitely not an expert – I am a very passionate miner though! Mirelle Dismenol and myself strive to make mining more accessible, fun and profitable for all, even for the environment. We truly believe in the future of blockchain, and we hope our efforts contribute to the future success of blockchain and it’s technologies.